Home Blog Mark the calendar... Events season is here! The countdown is on. Are you ready? Forget December, March is the beginning of the Silly Season. For many of us, event season is the biggest time of the year. Re-hashing past presentations and relaying on last minute preparation won’t cut it. Why have you chosen to present at this particular event? Why are you presenting on this particular topic? Considering the reasons behind your upcoming presentation is the key to connecting with your audience and making a real impact. Choose content relevant to the context of the event. Your audience is the most important element of your presentation. Don’t neglect them! You should spend as much time thinking about your audience as you do your content. Who will be attending the event? Present with their needs in mind, every step of the way. Research the event carefully. Consider location, history, theme and your fellow presenters. The key to event presentation success is crafting a presentation that fits the context of the event but also stands out from the crowd. Know your content inside out. You are the expert in the room – so look like it! Rehearse your presentation until you know it inside out. Keep your standards high and practice for perfection. Rehearse, rehearse and when you think you know your content – rehearse again! Ask good questions to your event coordinators to ensure you have a clear brief, then create and deliver a memorable presentation. A powerful presentation at an event could be your making. Pitch yourself and your business as the experts and share your knowledge, with passion. By examining the big questions behind your presentation and keeping your audience in mind, you will be the biggest star of the show. 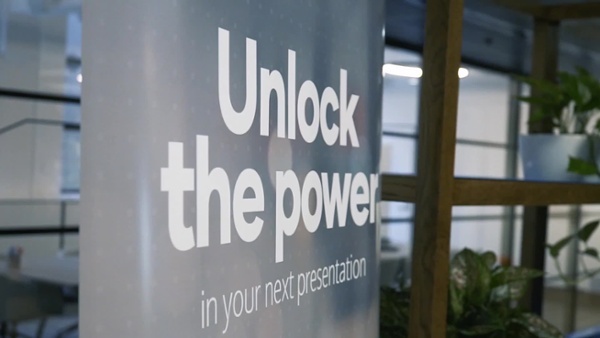 Take a look, as Presentation Studio partnered with Australian Geographic Presents, to host the latest event in our Connect series: Passion with Purpose. With event season presenting both big opportunities to grow and develop yourself and your company, don't let missed opportunities become your downfall- let us help ensure you leave a lasting impression on your audience, and create content designed to make an impact!